Vetalogica Gentle Ear Cleaner 125ml is scientifically formulated for maintaining healthy, clean ears in dogs and cats. 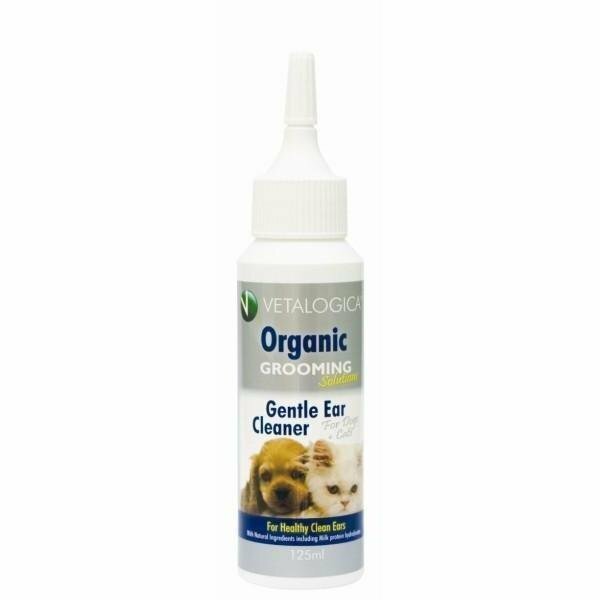 Vetalogica Organic Gentle Ear Cleaner is uniquely scientifically formulated for dogs and cats to maintain healthy, clean ears. It is also a non-oily lotion for routine cleaning and drying of dogs & cats ears.